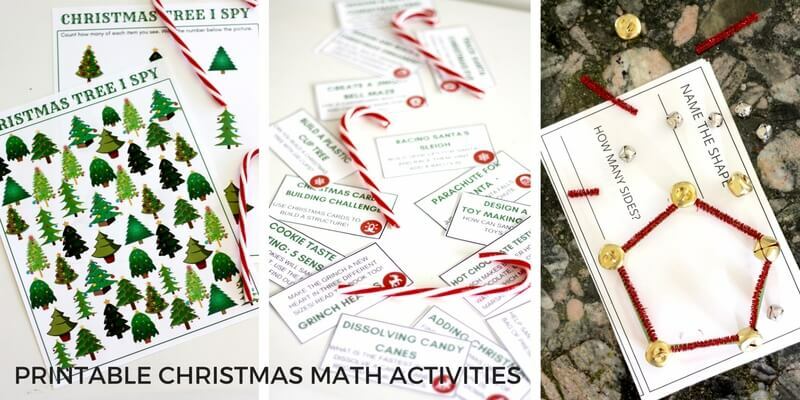 More than just counting the presents under the tree or the ornaments on the tree, why not give all your math activities a holiday twist! 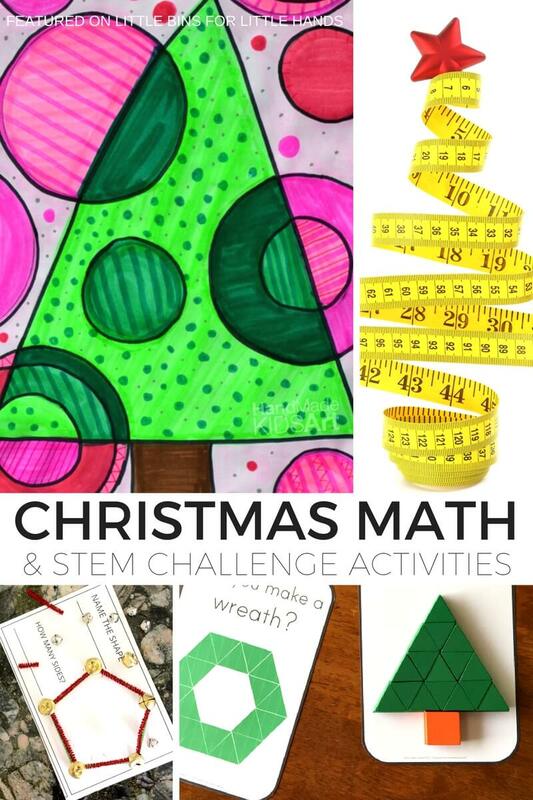 I have a fun selection of Christmas math activities perfect to add to your STEM lesson plan. 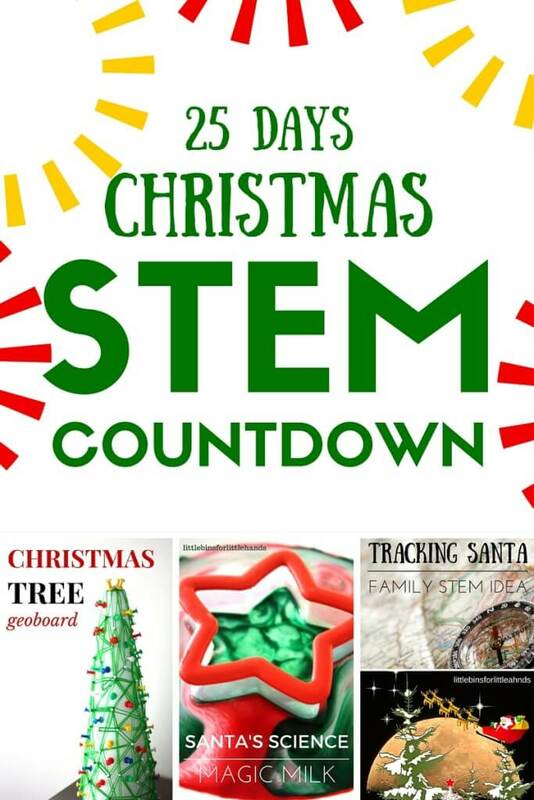 Make the holidays extra fun and check out our 25 Days of Christmas STEM Countdown too. In our house, we literally love anything that has to do with kids science experiments! Make certain you also check out our awesome slime recipes as well! I spend quite a bit of time looking for awesome ideas to share with you that we haven’t tried yet! Be assured that all of the activities I choose for my collections have been carefully thought out and chosen for their awesomeness and usefulness! We have done a few Christmas math activities, but I realized we certainly haven’t done enough. 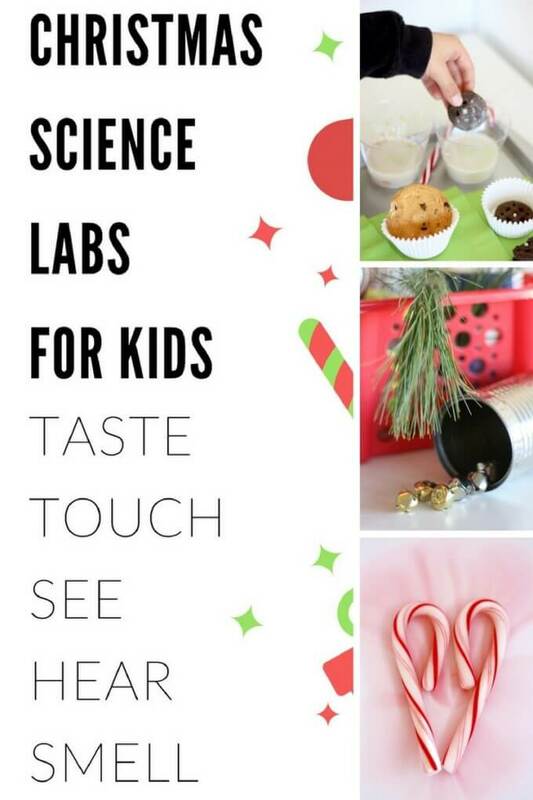 There just isn’t enough time in the day for all the amazing Christmas science activities! Click on the links in red to check out the set up for each idea! One idea I hope to try is graphing bows! I have a large package of Christmas bows of different colors. Your kids can graph the colors in the bag to see how much of each color bow is in the bag. 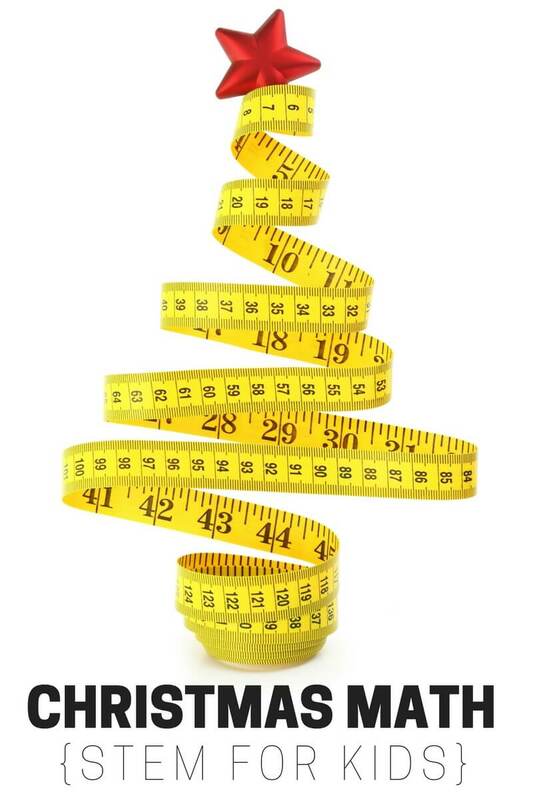 There are many creative ways to add math into Christmas. Another idea that’s perfect for hands-on Christmas math is baking! Turn your favorite Christmas cookie recipe into a math lesson with a delicious reward at the end. Measuring ingredients is a great way to talk about parts of a whole and fractions. 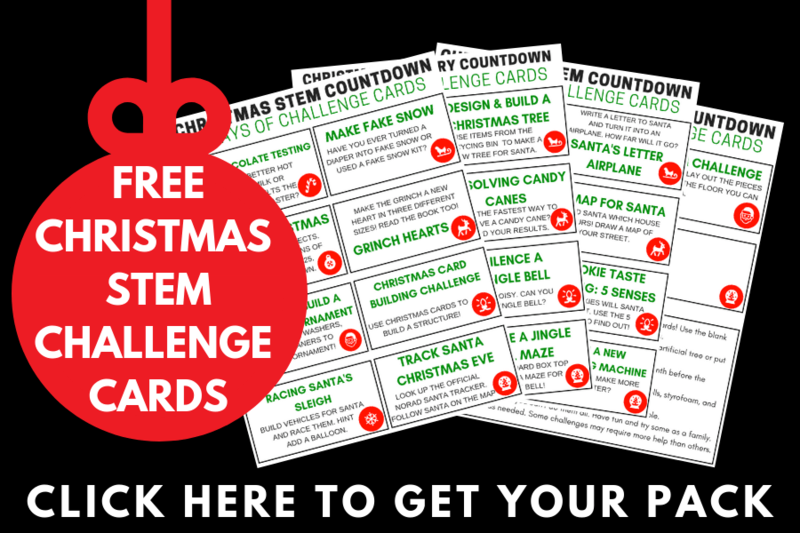 Our printable Christmas STEM challenges Countdown has a few fun ideas incorporating Christmas math into the season including making a paper chain the length of a room to encourage measuring as well as researching the size of Santa’s sleigh and marking it out on the floor or driveway with tape or chalk. Plus we have a 100 cup Christmas tree tower challenge! And many more. You can also print out our free ten frame grid to use with Christmas themed items or even red and green Duplo bricks like we used. Make a tray with jingle bells, mini bows, or any other themed Christmas items you have enough of! A Christmas tree I SPY and counting activity is perfect for keeping kids busy practicing both math skills and visual processing skills. I have made 2 levels for kids to enjoy. Keep a lookout for our size sorting I Spy too! Combine your family Christmas tree with an easy STEM project. My Christmas tree printable activity encourages kids to explore their own tree this season. Explore shapes and building shapes with our Jingle Bell Shapes STEM activity. Includes free printable shape mats for many different shapes that you can use all year long. Build a unique Christmas Tree Geo Board with your kids. Explore geometry and design while making a Christmas tree shaped geoboard that doubles as a fun Christmas decoration. Introduce your kids to the binary code and create a Christmas coding ornament. Includes a guide to the binary code for easy reference too. Setting up a Christmas counting tray can work for many ages depending on skill level. Use as many Christmas themed items as you can find for an open-ended math tray. Use your LEGO! I used refillable plastic ornaments and LEGO bricks to set up a LEGO estimation math Christmas activity. You can use other Christmas themed items too like jingle bells, bows, pompoms, and mini ornaments. Combine science and math with this fun and simple to set up Christmas jingle bell game! Great for keeping the kids busy during the holiday season too. Do you remember Pascal’s Triangle? Try out this Pascal’s Triangle Christmas tree math activity. Great for the older kids too. I love this Christmas pentominoes math challenge activity! There are free printables to get you started and you can learn more about pentominoes to use all year long. Christmas pattern block cards are awesome for exploring patterns and shapes with a Christmas theme! Make a cute racing reindeer number line game that’s perfect for incorporating kindergarten and early elementary math! If you love Montessori inspired ideas, then check out these Montessori inspired Christmas activities for toddlers and preschoolers. Many options for including math into your lesson plan for young kids! If you have older kids, these Montessori inspired math activities for 100’s tables and multiplication are perfect! Try a Christmas STEAM with concentrical circles art project! It is a great way to accomplish both an art lesson and a math lesson in one fun activity! Plus you have a beautiful work of art to hang up for the holidays. Symmetry is a cool math activity to try and a Christmas tree symmetry math activity is perfect for the holidays. You can even turn the project into making homemade Christmas cards! Tangrams are a great math and logic activity. Check out the Twelve Days of Christmas done with Tangrams for a holiday math challenge. Or check out these printable holiday themed Tangram activities. CHRISTMAS MATH ACTIVITIES KIDS WILL LOVE! 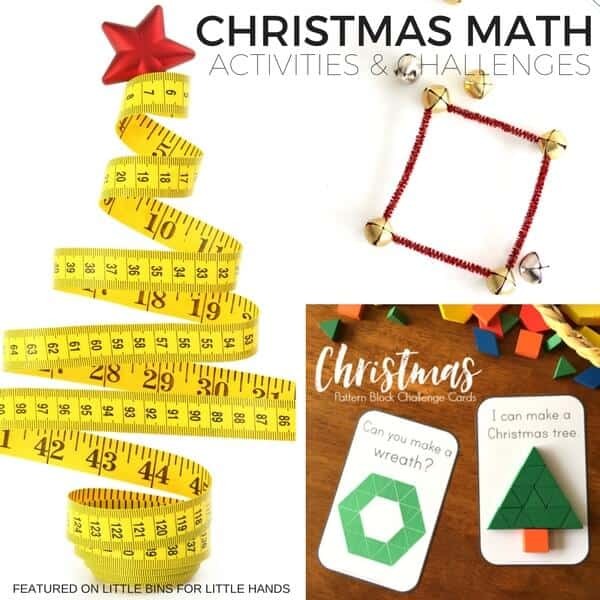 I hope you can use a few of these Christmas math activities in your holiday learning themes this season. Kids love the holidays and love the novelty of themed activities. 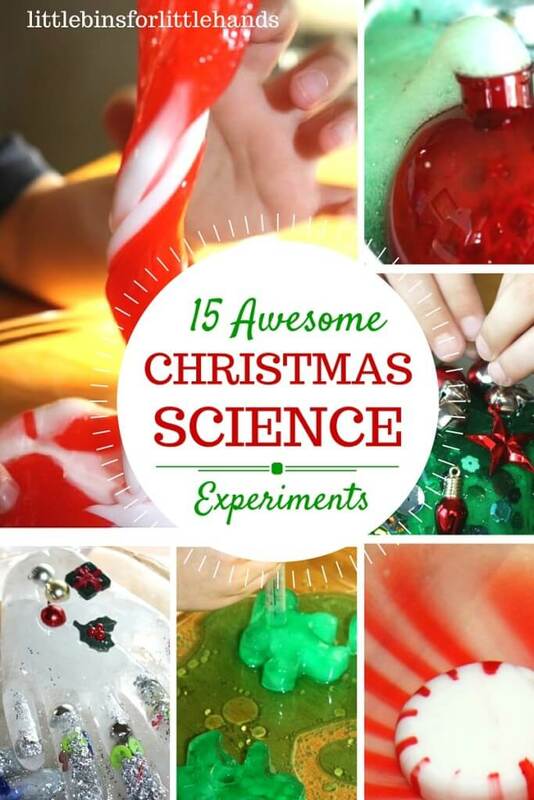 There’s no better way to incorporate awesome experiments for kids with learning! It’s an awesome way to practice the same math concept but in different ways. I have found this method great for reinforcing what my son has already learned. 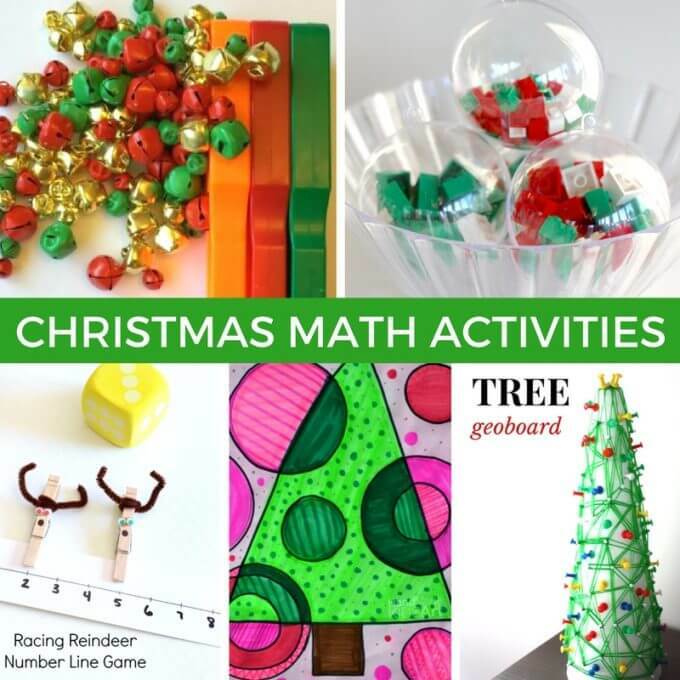 Click on the photos below for more awesome Christmas learning ideas!